The functionality and aesthetics form a perfect unit for this modern lamp. This consists of chrome-plated metal and two satin-finished glass shades, which guarantee no-glare lighting, for example, as a mirror lamp in the bathroom. Quality and safety characteristics: Protection class II double insulation, protection rating IP44 dust and spray water protected. My electrician says this light would need a switch or it would be permanently on. Surely not ! Please explain installation. Thank you for your enquiry. 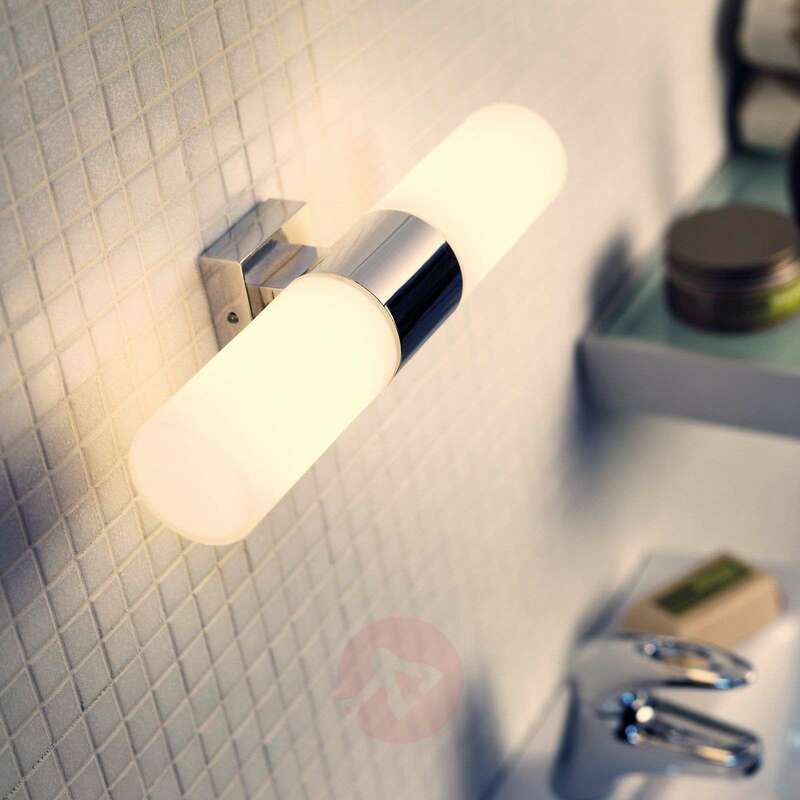 Please note that the wall light will be mains connected and requires an external wall switch for daily operation to switch on / off. For shaver lights please have a look at item numbers 7253471 and 9004517 which comes with a pull cord and switch.